Charging company POLAR Plus has formed a partnership with Charge Your Car (CYC) to allow access to its public network for existing customers. POLAR Plus has formed a partnership with CYC to allow access to its public network. There are now 2,000 additional points available with all active POLAR plus RFID cards or key fobs, including access to more than 300 rapid charging stations. 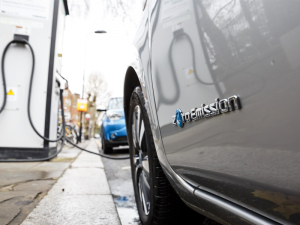 The new charging locations can be found across the UK, and are available to view at www.polar-network.com/map. Over 90% of the new charge points are free to use for POLAR plus members, with a charge at the extra 10% being offered for 9p per kWh (excl. VAT). During the early stages of the partnership, customers will not be able to collect POLAR loyalty points at certain locations. Drivers can identify which points this applies to by clicking on the individual site icons on the online map.